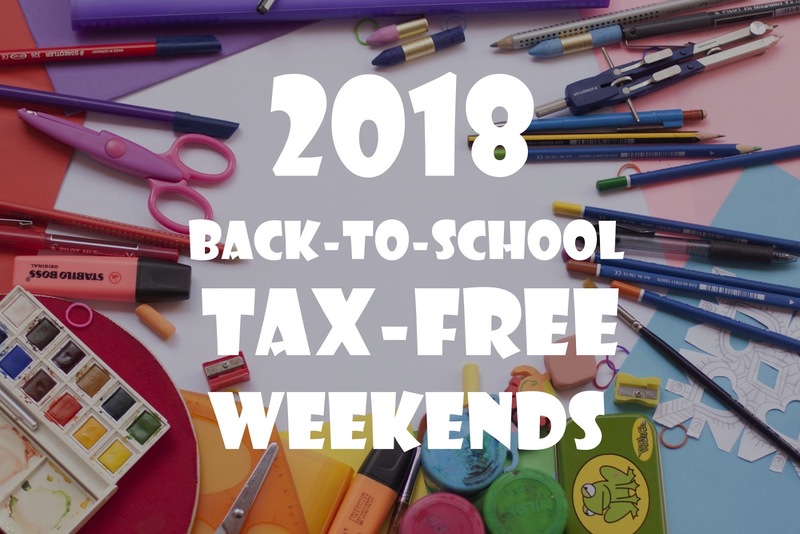 Did you know you can save big on preparing for school during state-run “tax-free weekends”? Many states offer these tax-free saving periods at local retail stores to help families and teachers get the most bang for their buck. The states offering the tax-free days of shopping include Florida, Tennessee, Missouri, Ohio, Arkansas, Oklahoma, and many others. It may sound like a little bit of savings, but if you are a teacher stretching your money as far as possible, the tax-free holidays are a sure bet for starting to reduce costs. Every teacher I know, including myself, must always find ways to save money because our personal budgets are limited. Few, if any, teachers actually receive assistance funding from the state or district to help, but it is usually only a small fraction of what is needed. Dates: Beginning Saturday, August 4, 2018 at 12:01 a.m. and ending Sunday, August 5, 2018 at 11:59 p.m. Dates: On the first Friday and Saturday of August (August 3 - 4). Dates: Begins at 12:01 a.m. on August 3, 2018 and concludes on August 5, 2018 at midnight. Dates: Starts on Friday, August 3, 2018 at 12:00 a.m. and ends on Sunday, August 5, 2018 at 11:59 p.m. Dates: Begins Friday, August 3 and ends Sunday, August 5. Dates: Begins at 12:01 a.m. on Friday, July 27 and ends Sunday, July 29 at 11:59 p.m. Dates: Begins Friday, Aug. 10, and goes through midnight Sunday, Aug. 12. Dates: August 3-5, 2018. The 3-day sales tax holiday starts the first Friday in August at 12:01 am and ends the following Sunday at 11:59 pm. Yes! On K12SchoolSuplies.net they do not charge sales tax for 49 states (sorry Colorado). And they offer free shipping on orders over $99.